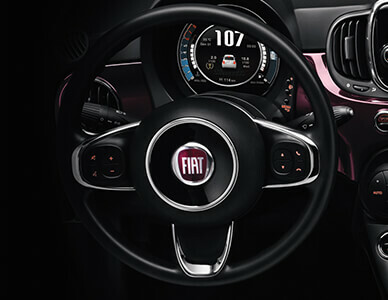 Promotion available on new FIAT 500 models. 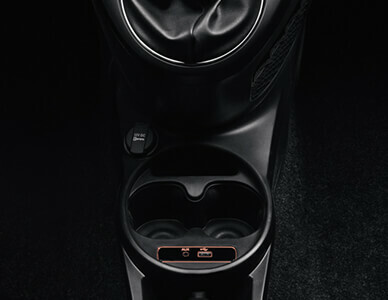 Deposit Contribution only available in conjunction with FCA Financial Services. 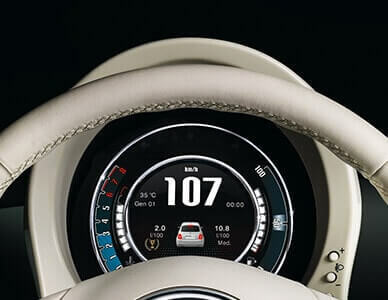 With FCA Financial Services you have the option to return the vehicle and not pay the final payment, subject to the vehicle not having exceeded an agreed annual mileage (a charge of 6p per mile for exceeding 0 miles per annum in this example) and being in good condition. Finance subject to status. Guarantees may be required. Terms and Conditions apply. We work with a number of creditors including FCA Financial Services. PO Box 4465, Slough, SL1 0RW. Or for a tailored quote please feel free to contact us. 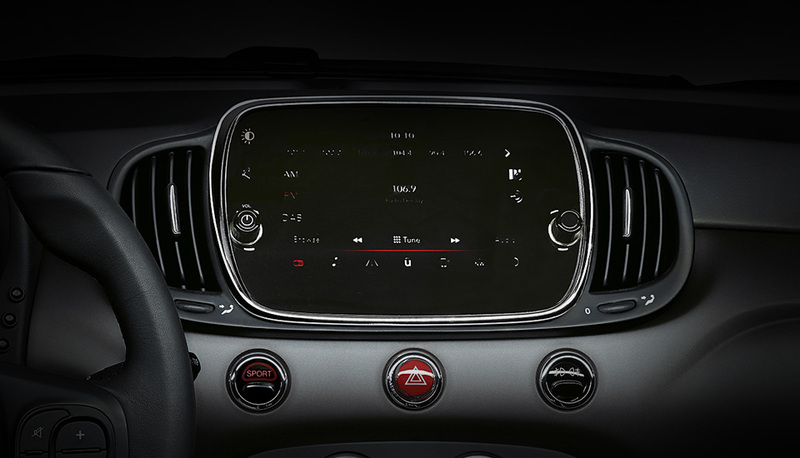 The Fiat 500 also has steering wheel controls to browse through your playlist, answer the phone and control the volume. 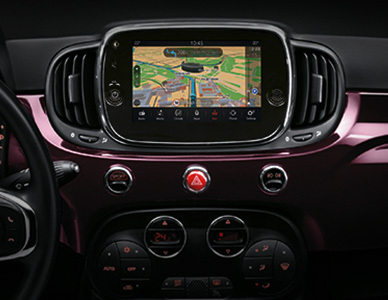 The Fiat 500 is designed for driving pleasure, which is why it offers the innovative Uconnect system with 5’’ touchscreen, including Bluetooth and Uconnect LIVE features*. So you can stream music, follow the news and connect to social media. 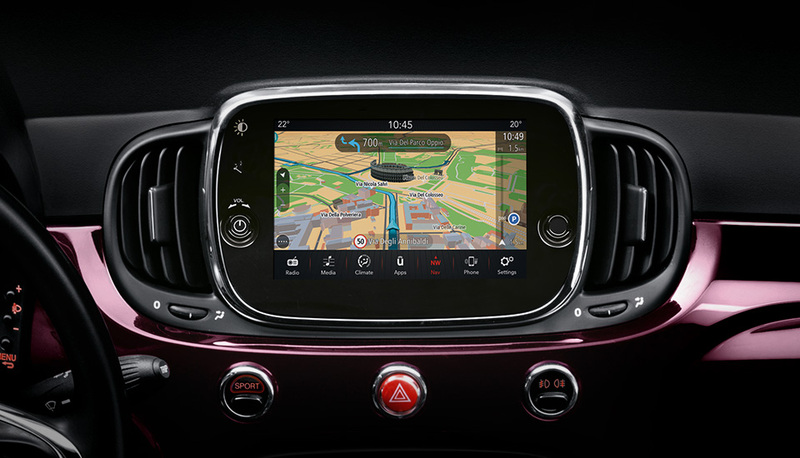 The Uconnect 7” HD radio LIVE adds a 7” high definition touchscreen and can be upgraded with the integrated TomTom 3D navigation system with TomTom LIVE services*. 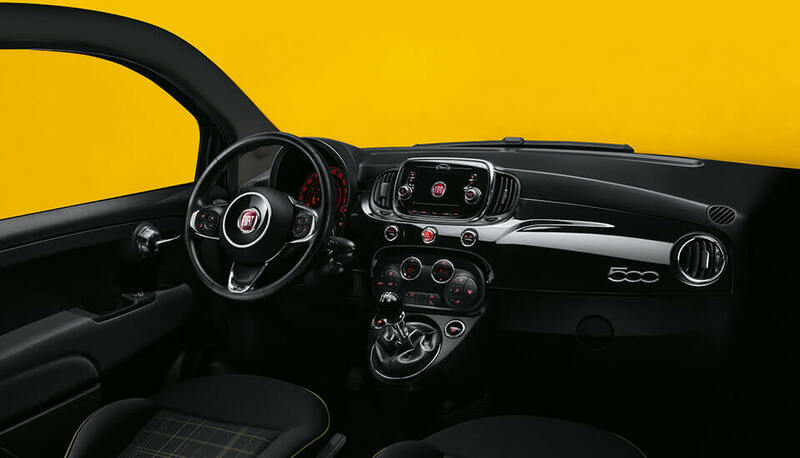 The interior of the Fiat 500 is now even more neatly arranged with everything in easy reach, thanks to the centre console with integrated USB and AUX-IN ports and built-in cup holders. No Sense of Direction? No Problem.